17 tonnes of humanitarian aid is now bound for Thailand, all thanks to a joint two-month effort by 24 corporates and hundreds of Singapore citizens. Over three days, Singaporeans from all walks of life gave off their precious weekends to come together to sort and pack material items donated from the public. On the final day of the campaign, these items were loaded to a 40 foot container for shipping to Thailand. The yearly effort is called Project LIVES, and it seeks to put critical winter supplies into the hands of the rural poor. More importantly, the items collected go into supporting longer term development initiatives by RADION International, the non-profit behind this effort. In tribal communities located in the mountains, temperatures can drop to as low as 2 degrees in the cold season towards the end of each year. The cold snap that gripped Thailand earlier this year took the lives of 12 Thai villagers over night. 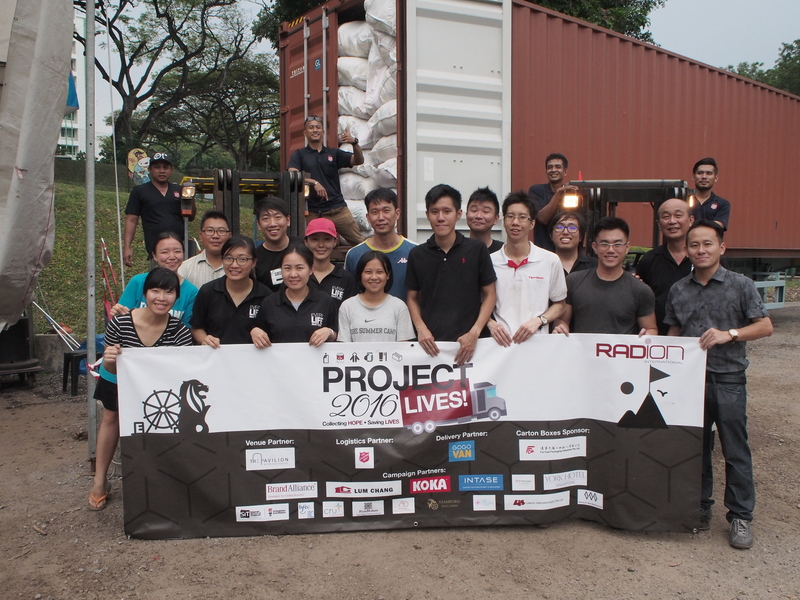 “If winter relief are not sent to needy villagers promptly, we run the risk of losing more lives, especially among the elderly and young children,” says Mr Eugene Wee, Founder and Director of RADION International. The yearly collection also supports community development projects by RADION International, in a rural village of 14,000 in Thailand. This year is also the first time that local celebrities like Gurmit Singh joined in the cause, through donating and even helping to sort the collected items. “Project LIVES is helping to build bridges between the people in Singapore and the people in Thailand – by creating awareness among the Singapore public to reach out to a community in Thailand, and by involving our Thai community based in Singapore,” says Deputy Chief of Mission, Mr. Chairat Sirivat, who officiated the opening ceremony.